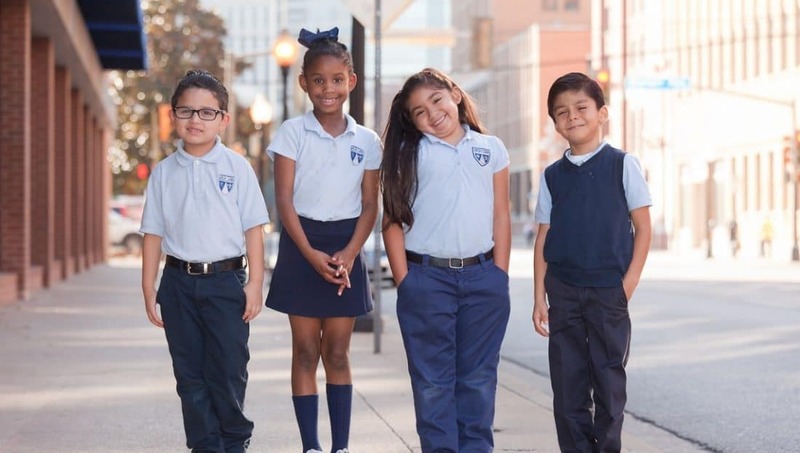 It’s been a busy year-and-half for Stephen Parmer, who, since taking over as head of procurement for Uplift Education, the largest charter school network in North Texas, in early 2016, has been hard at work centralizing what had been a relatively loose and largely departmentalized purchasing operation. Given the size and scale of the Uplift network — 37 schools in the Dallas-Fort Worth area, with 17,000 students, 2,000 employees and a non-payroll budget exceeding $50 million — the process of rolling out and getting organization-wide buy-in for a more transparent and (hopefully) more efficient way of doing things at this fast-growing network hasn’t always been easy, Parmer acknowledges. Here BuyQ sits down with the former inner-city math teacher, school administrator and operations director to explore how he’s going about re-engineering Uplift’s procurement approach, and how he’s trying to meet the escalating fiscal, compliance and operational challenges that he and his peers in charter school procurement departments across the U.S. face. BuyQ: What are some of the biggest changes you’ve sought to make in your organization’s procurement policies and practices, and why did you choose to pursue them? Stephen Parmer: With EDGAR (Education Department General Administrative Regulations), Uplift started to realize, this whole decentralized model that we had was going to be difficult to continue. The CFO and our C-level team decided we needed to have somebody focus more heavily on procurement. We had been doing everything at a decentralized, departmental level, which is really tough when you have a lot of federal and state requirements for how to document that you did it properly and that you’re open and fair and competitive and transparent. A lot of it we already had in writing in a handbook, or in a procedural manual somewhere. It was there, it was just not a robust enough policy to where somebody would be able to go, “Oh, that’s exactly what I’m supposed to do.” We realized that we had to come up with some pretty good explanations for people so anybody could pick up our policy and understand what needs to happen. One of the first priorities was to train everybody on why we need to maintain a fair and open process. We’re public and we need to be transparent and we need to be able to show someone why we did what we did. That was step one. Number two, we were already using a purchase order system, but we were not using it to fidelity. Right now, about 85% of our transactions are either happening through an AP invoice, or through a purchase order. Tying campus or department funds to a PO or contract not only assists accounts payable with three-way matching, it also allows the budget owner to monitor their spending more closely. Going to our pre-approved vendor list first is another area of focus, along with reducing rogue and maverick spending. Your maverick spending is the check request — you went out and made a purchase without a PO up-front and now I’m having to settle that transaction after a couple directors have signed off on it and it just creates more process. The rogue spending is when a vendor wasn’t even set up and you’re just doing business with them. Our goal is to reduce those issues so that we have all the proper documentation on the front end so that when someone does say, “Let me take a look at that,” we feel 100% comfortable and 100% justified in whatever purchase we’ve made by following Uplift’s procedures. BuyQ: What kind of progress have you made in implementing these changes? SP: We’re still, in a way, transitioning because we had been doing it a completely different way for 15 years, then we decided that we’ve got to turn this ship around. As you can imagine, the ship doesn’t always turn as quickly as you would hope. In year one, a lot has focused on compliance. We’ve had face-to-face trainings with directors, with operations directors, with department folks, the finance team, walking them through their budget to try to make sure that they have a solid understanding of what money they have and what they can spend it on. Year one is training and making staff aware of what they can and can’t do and how our department can help. It really has been about documenting our compliance. In the past, we were doing a lot of these things, but no one was putting it down in writing. Fortunately, most of them were in compliance. It was a matter of making sure that the information was all in the right place so that when you’re audited or there’s a question, it’s right there, available for somebody to be able to look at. BuyQ: How have you gotten network staff and campus staff onboard with these initiatives? SP: By implementing five important pieces of change management. First, when you realize there’s something that needs to be done, you need to find a sponsor, a person who ultimately is going to own the accountability piece. You want to buy stuff for your kids and your campus. If you do it the proper way, you pretty much can get them anything they need if we follow the process. So it’s deciding up-front what the accountability measure is and making sure there is an owner, a sponsor. The second part is figuring out the stakeholders — who all is actually involved. In one case, we changed the process for setting up a consultant or a contractor that would come out onto our campuses for contracted services. There’s a component that’s finance. There’s a component that’s procurement. There’s a component that’s HR — can this person pass the background check? Then there’s a component that’s legal. Are all your i’s dotted and your t’s crossed? Number three is what I call system mapping. If I’m going to change a process, I need to have considered all the contingencies, poked holes in it and figured out what’s going to break. We do that as a group. The Senior Finance Director, Senior Accounting Director, and myself all report to the CFO. We have a tactic we call “coordinate and collaborate.” Each week, when we meet, anything new that we intend on presenting to the network or communicating out is first brought to that group to poke holes in, talk about it, figure out what could go wildly wrong before we roll it out to everybody. Next is the strategy. One way of communicating is never enough. If I’m going to put it in a memo, I also need to do some sort of face-to-face reminder and get it on their Outlook calendar. I also like to include an example. In teaching, you might call it your exemplar. I want to show them, if you fill this out or you make this request, this is what it should look like. Finally, it’s communicating the, “What’s in it for me?” If they can’t see that you’re going to save them some money or time, or you’re not trying your best to look out for their interests, people aren’t going to get on board. Really thinking about what is in it for that person on the other end is imperative, because, to be frank, most people are not going to stop doing what works if there’s nothing that’s going to benefit them. BuyQ: What types of metrics do you and your department use to measure how you’re doing on the procurement side? SP: 85% of our transactions are either on AP invoice or PO. One of our top priorities is to reduce the amount of check requests and credit card payments. I would love to see that 85% number go to 90%, 95% within the next couple years, so that virtually all of our vendor payments are made via a PO or an AP invoice where we have a contract backing that payment. That’s one metric. The total volume of vendors is the second one. When I first looked, there were around 3,000 vendors set up in the system. Now, a good portion of them we had not used in the past year. The second measure is to drastically reduce that number over the next year, to vendors who are really meeting all the requirements. I’ve already started working on that, and I feel like over the next year or so, that 3,000 that’s already become 2,000 will eventually become 1,000. Hopefully we can narrow that down to just those choice vendors who provide the best service and price and quality. BuyQ: What are your top priorities moving forward to continue to strengthen the procurement process at Uplift? SP: Our goal for this next year is to really hone in on opportunities that we have missed in the past. We’ve already found a few pieces of low hanging fruit that we’ve addressed and saved the organization quite a bit of money. Some savings came through re-negotiating our utility contract. Some savings came by just making vendors aware that we wanted to be on a group purchasing contract or use a purchasing cooperative bid. We started to lower some of our costs, just by making sure that they were aware of it. We also will be heavily focused on narrowing the field, taking out those vendors who are not servicing our campuses effectively, or who have a slightly higher total cost of ownership — to start to whittle the field down to the handful of vendors in a particular category who really are going to continue to meet our needs. And when we feel like our needs aren’t being met, to continue to bid things out or to reach out to other vendor options so that we keep it competitive, fair, and transparent.